Hi everyone! 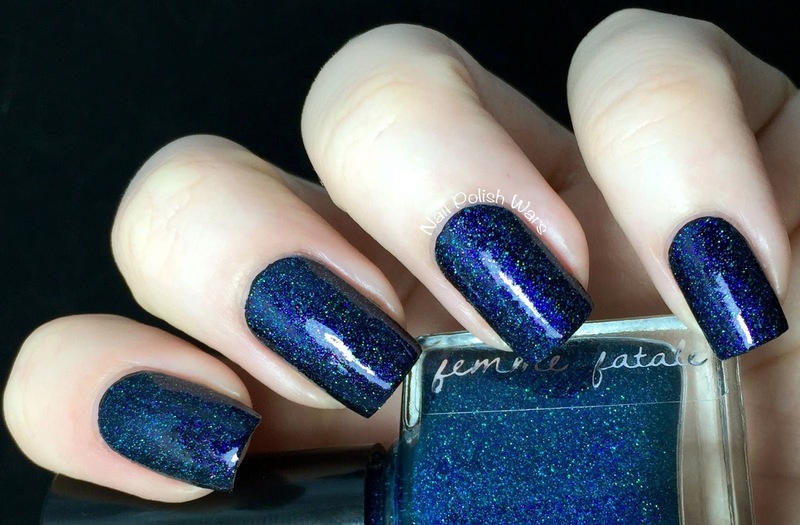 I have some awesome Femme Fatale shades for you today! 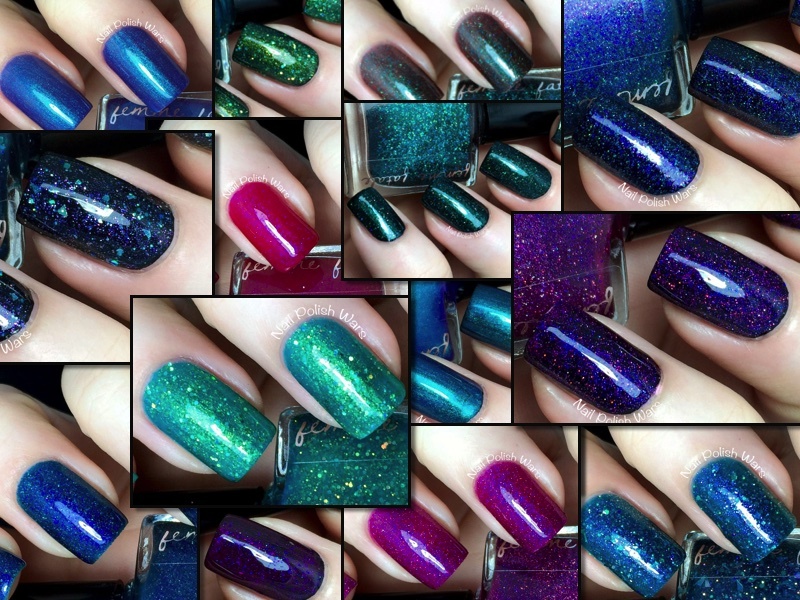 I also decided to show them all to you layered over black as well - and oh my gosh!!! 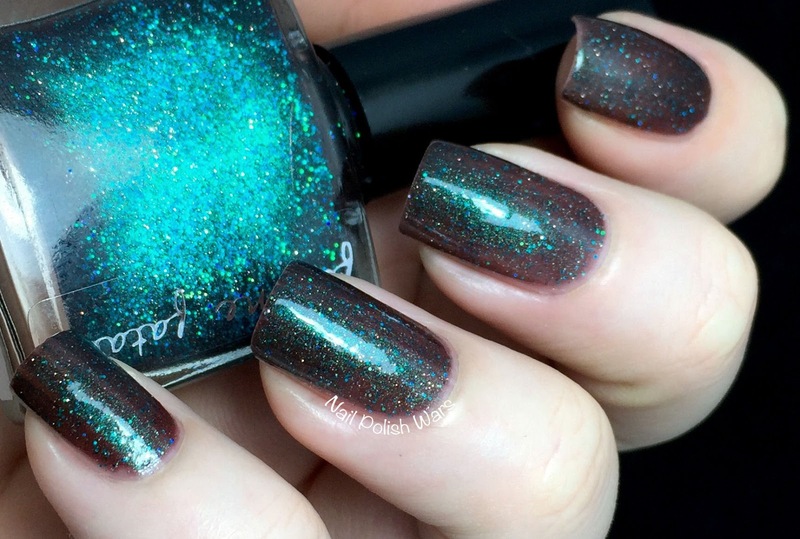 All Sanity is Lost is a dark teal jelly loaded with multi-sized hexes and shreds in silver holographic, red, and teal. The formula was smooth and easy to apply. I really like this shade a lot! It has great depth! Shown is two coats of All Sanity is Lost. All Sanity is Lost takes on a whole new look when layered over black. Check out those amazing sparks!! Shown is one coat of All Sanity is Lost over black. Alone in the Darkness is a deep teal jelly loaded with teal and purple micro glitters. The formula was smooth and easy to apply. 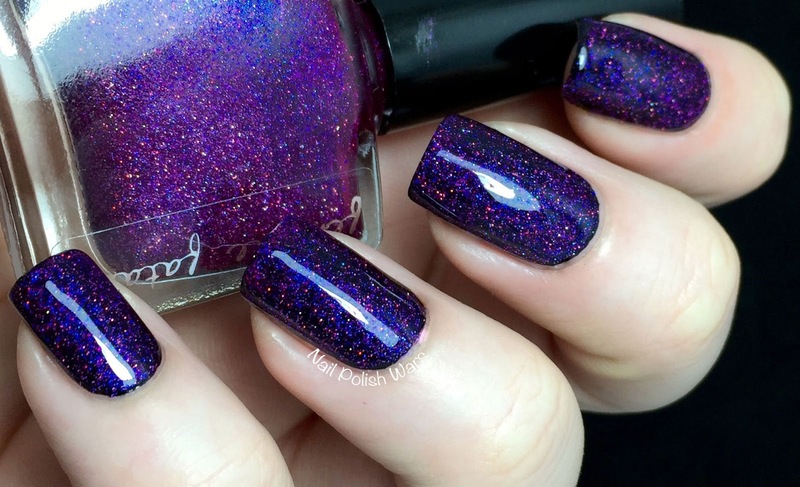 I love how well the glitters sparkle in this one. Shown is three coats of Alone in the Darkness. How gorgeous is this?? Alone in the Darkness is just amazing over black!! 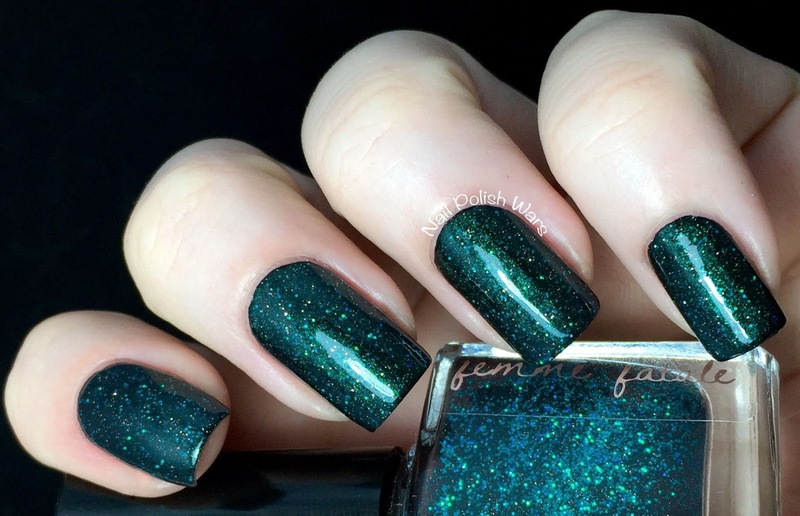 Shown is one coat of Alone in the Darkness over black. 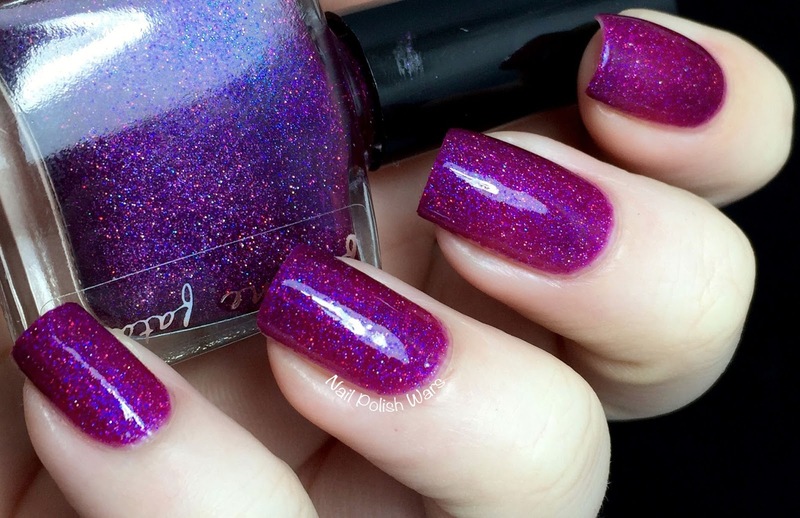 Brain Link is a bright magenta jelly with a blue and purple glass fleck shimmer. The formula was smooth and easy to apply. 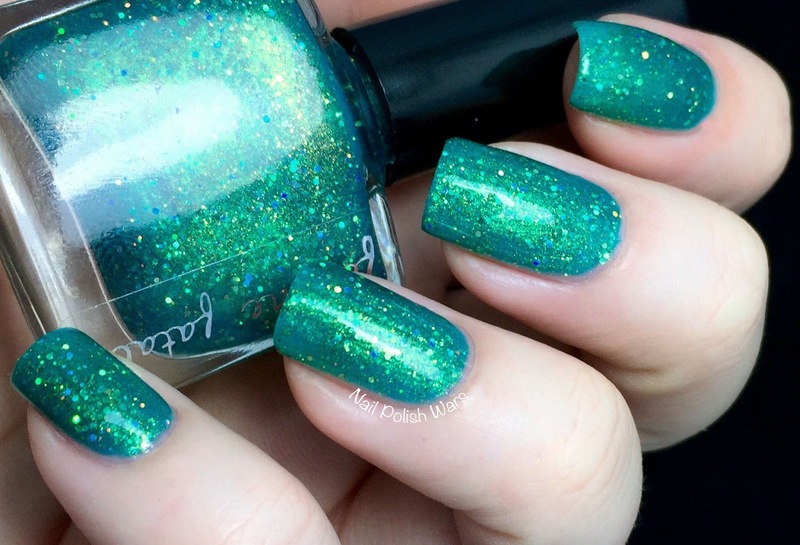 This is such a great pop color! Shown is three coats of Brain Link. I just love the way Brain Link looks over black! It's so vampy! Shown is one coat of Brain Link over black. 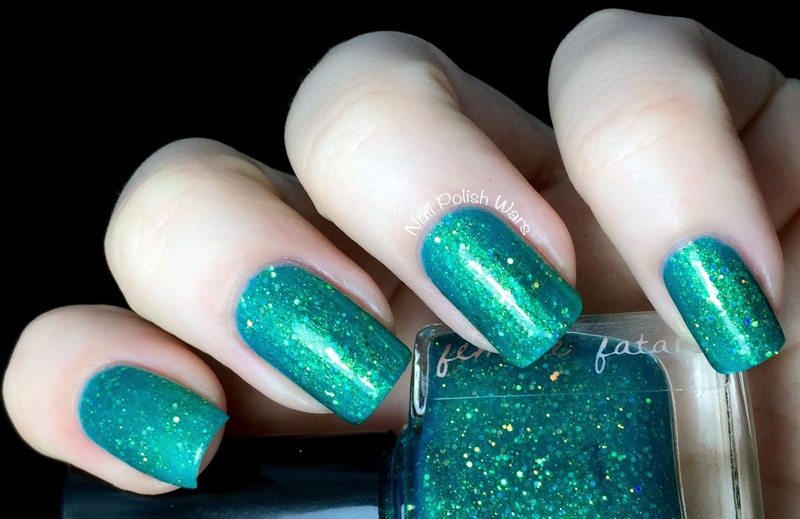 In His House He Waits Dreaming is a smokey brown jelly loaded with micro glitters in teal and silver, and a teal shimmer. The formula was smooth and easy to apply. I just love this shade!!! Shown is two coats of In His House He Waits Dreaming. 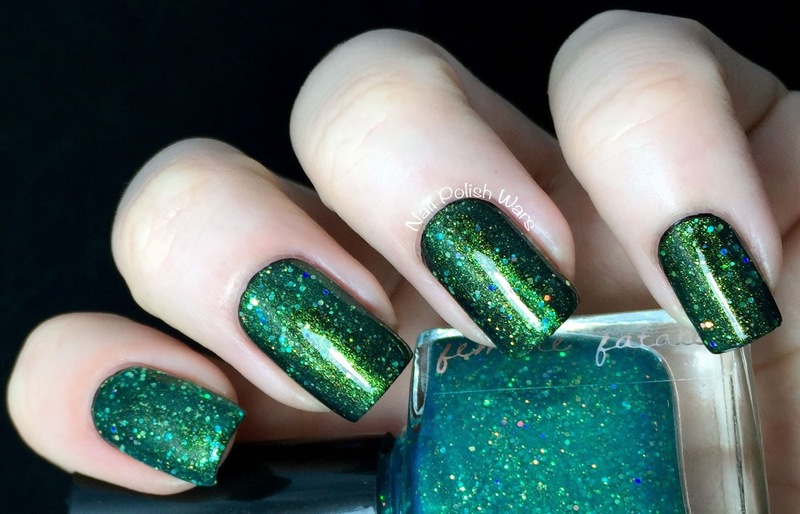 I love the glittering emerald look of In His House He Waits Dreaming over black! Shown is one coat of In His House He Waits Dreaming over black. 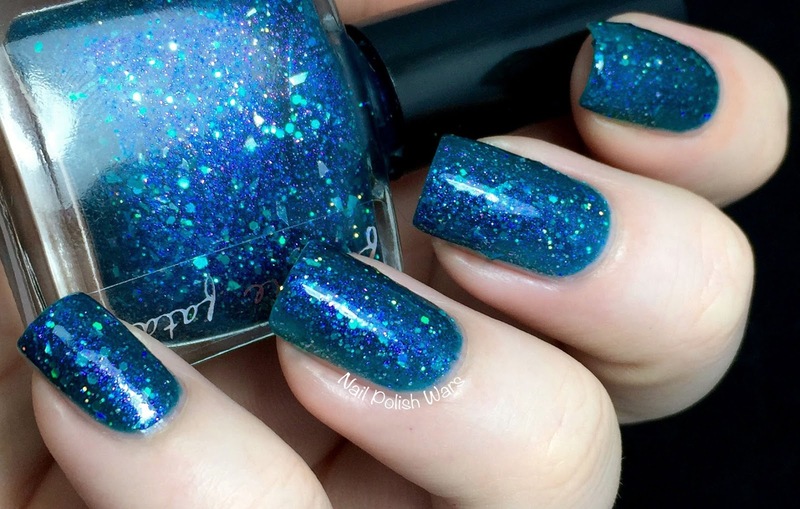 Stand in the Clouds is an aquamarine jelly loaded with gold micro glitters and a gold shimmer. The formula was smooth and easy to apply. 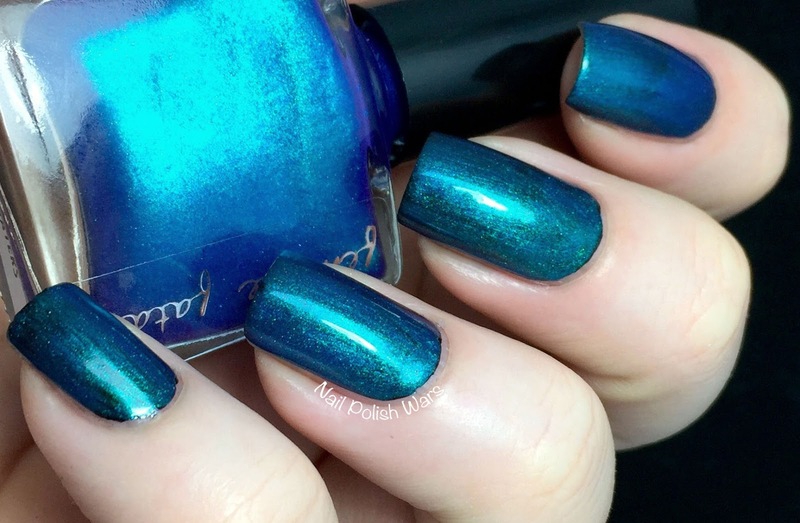 I love how strong the shimmer is in this one! 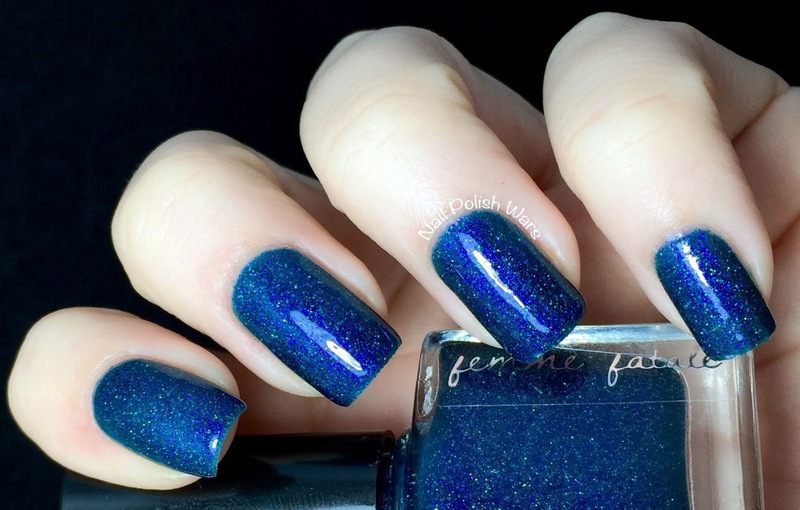 Shown is three coats of Stand in the Clouds. 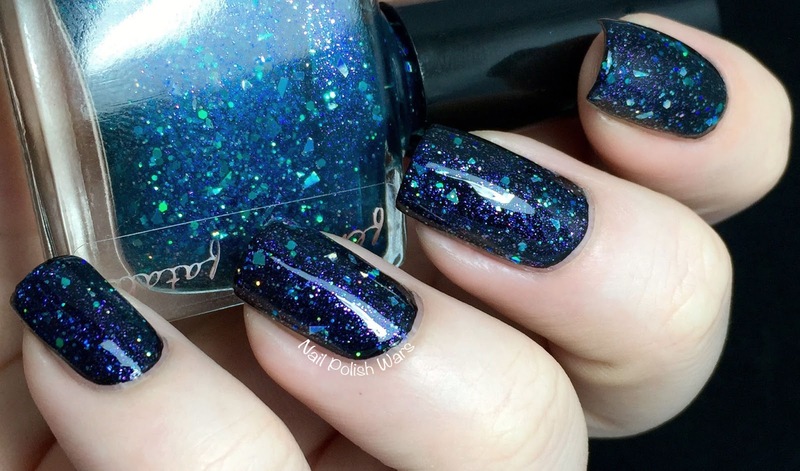 Stand in the Clouds over black has such a great jewel-toned look! Shown is one coat of Stand in the Clouds over black. 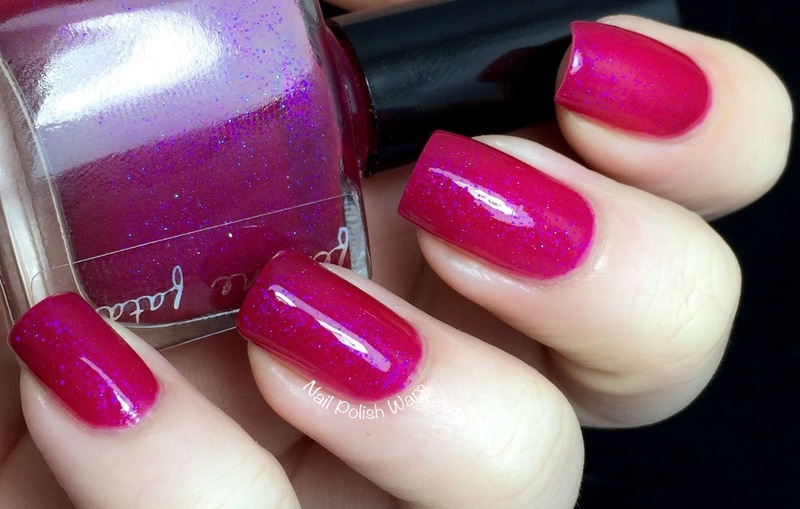 Touch of Madness is a magenta jelly loaded with purple and blue micro glitters. The formula was smooth and easy to apply. 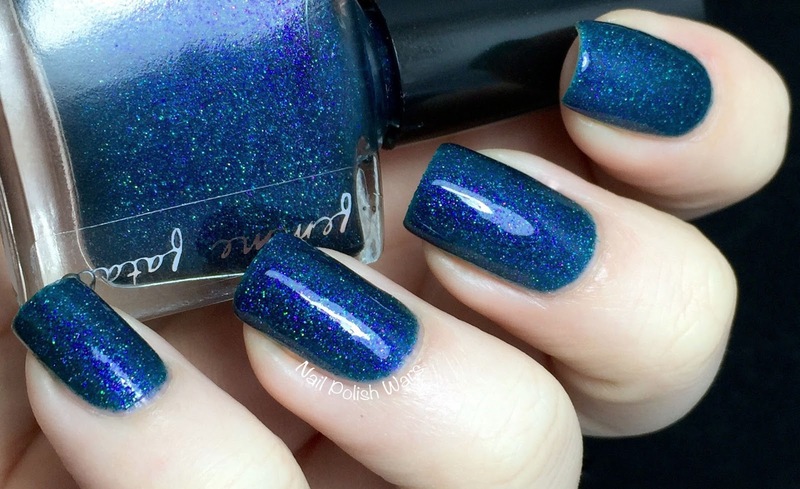 How great is this shade?! 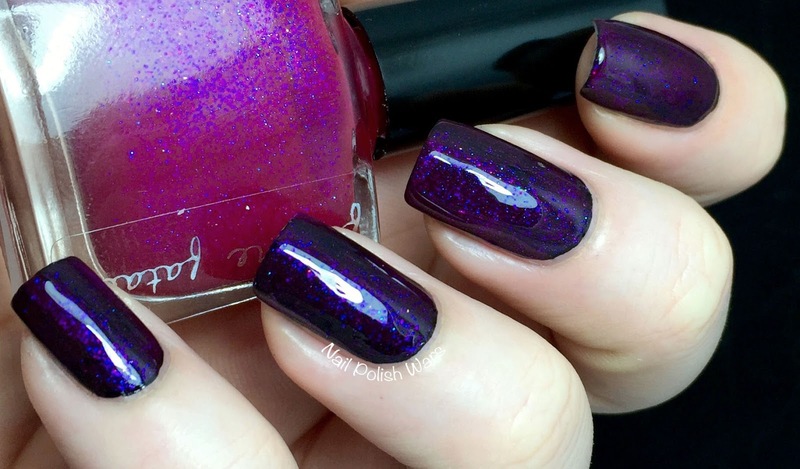 Shown is three coats of Touch of Madness. If your jaw hit the floor on this one, you're not alone. Can you believe how fantastic this looks?!?! Shown is one coat of Touch of Madness over black. 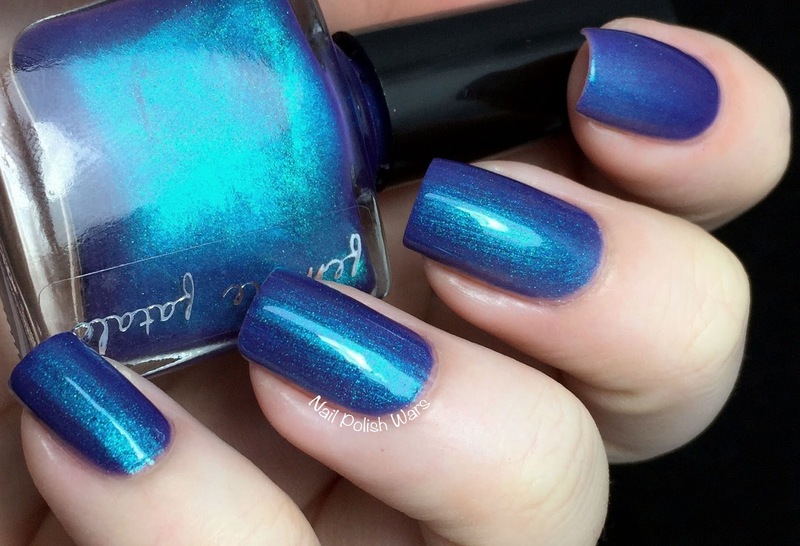 Under the Waters is a blurple with a teal shimmer. The formula was smooth and easy to apply. I really like this one a lot. It's so eye-catching! Shown is two coats of Under the Waters. 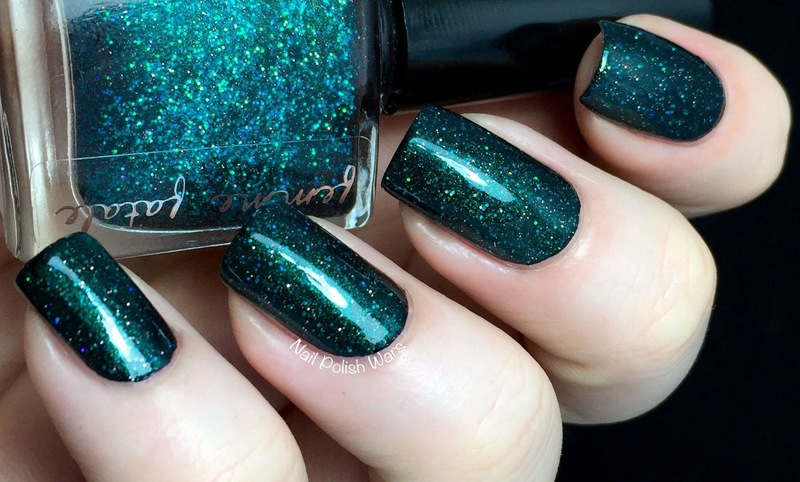 I love how well the teal pops over black! 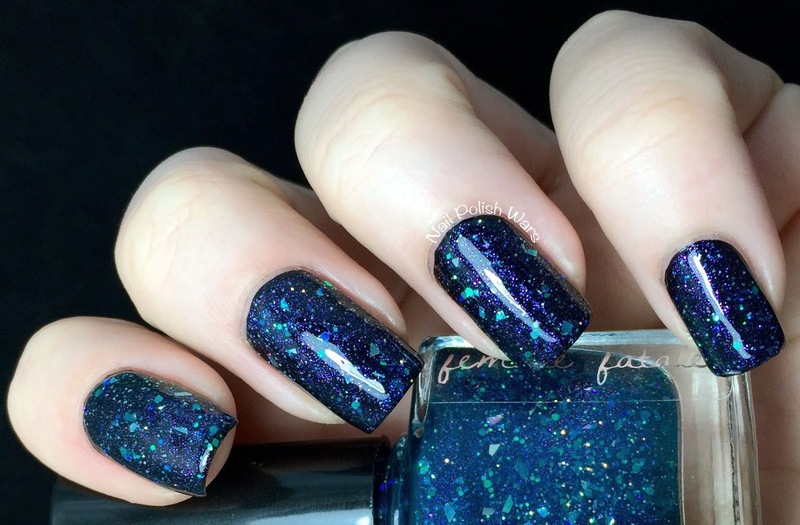 Shown is one coat of Under the Waters over black. 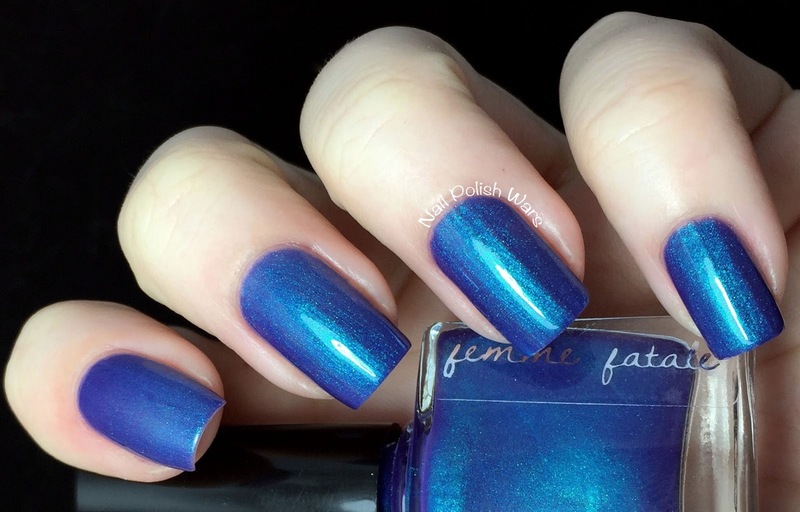 You can find these and other great Femme Fatale shades at their storefront here, and be sure to check them out on Facebook for all of their latest updates and collections. All of these are absolutely stunning on their own or over black! These are lovely colors. So hard to choose a favorite. 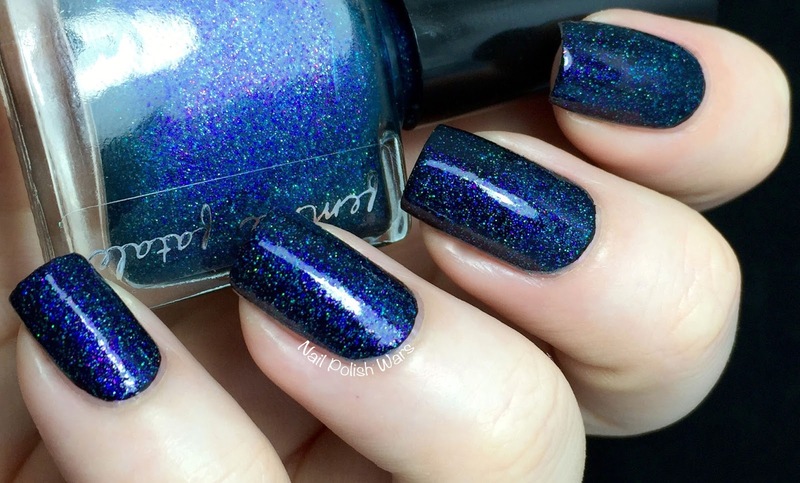 Wow - those are some seriously gorgeous polishes. And then to put them over black - fabulous! 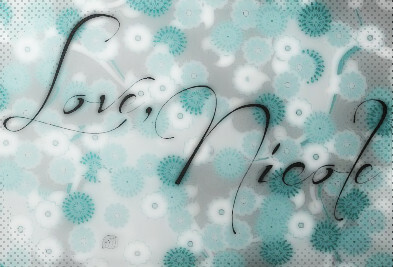 Thank you for the beautiful photos! Hi. Your swatches are absolutely lovely. I wondered, though... I don't know if I am looking wrong or anything, but I don't seem to find any of those wonderful colours you present here on the Femme Fatale website that you put in your hyperlink here. [I, in fact, can see only two colours: Blue Vervein and Star Pony.] Did I miss somethnig? Maybe they are not available for sale, yet?